Servicing the Brisbane Metro Area for over 30 years and counting! Not sure which printer is best for you? Call us and receive a personalised quote! DELIVERY IS NOT FREE OF CHARGE. The price of delivery will be added after your order has been placed by one of our team members. Once this delivery charge is placed we will send you an invoice of the final order and then process your payment. Delivery is available for the Brisbane area only. Some products will require a forklift to transport. In this situation, a team member will contact you to arrange transportation details. The Epson DFX-9000 brings ultra-fast printing to the market – delivering ultra high speed printing at 1550 cps – the fastest print speed in the world. 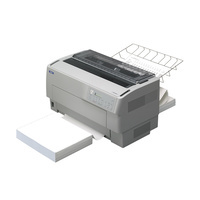 Offering the rock-solid reliability you need for high-volume printing, DFX-9000 is also very affordable and compact. 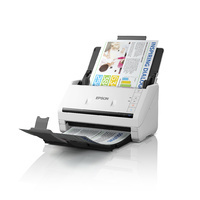 To top it off, it offers class-leading networking flexibility and paper handling versatility. 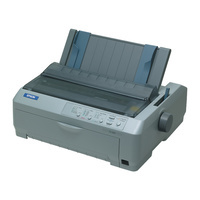 It is a combination that only Epson and dot matrix printers can deliver. 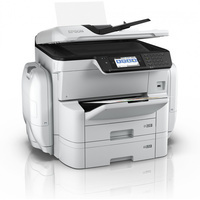 The DFX-9000 is ultra-fast, printing at 1550 cps, the fastest print speed in the world. Yet it offers this speed without any sacrifice to dependability and is durable enough to withstand heavy use in the most demanding environments. 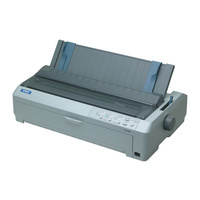 Epson dot matrix printers are known around the world for the outstanding performance and durability. The DFX-9000 carries on the tradition by offering the rugged construction and rock-solid reliability that business users demand for high volume printing. Flexibility is another big advantage of the DFX-9000. Fully networkable in multi-platform environments, it supports Windows XP, Me, NT4.0/3.51, 2000, 98, 95 as well as Netware and Unix operating systems. USB, serial and parallel ports are standard. 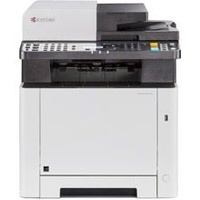 Optional ethernet connectivity extends your networking capabilities even further, making the DFX-9000 an ideal choice when multiple users need to access its ultra-fast printing power. You know it's an Epson with this kind of ultra-versatile paper handling. 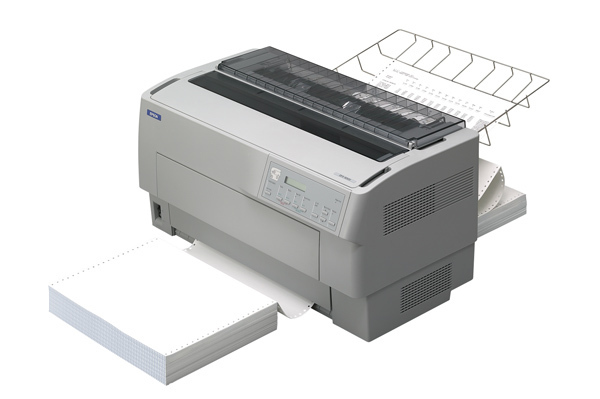 Featuring both rear and front paper paths, the DFX-9000 can handle everything from single sheet paper to seven-part forms. You can select the one you want right from your PC via the user-friendly Status Monitor. To expand functionality further, you can also choose from a full range of optional extras - including a pull tractor, a paper cutter and a perforation cutter. 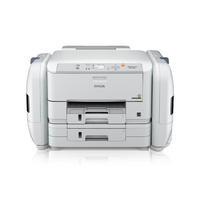 However you look at it, the DFX-9000 is one of the most versatile printers around, and is in a class of it's own. 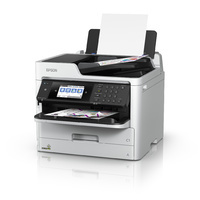 As an International ENERGY STAR Partner, Epson has determined that this product meets the International ENERGY STAR guidelines for energy efficiency. Epson is the registered trademark of Seiko Epson Corporation. Epson trademarks of Seiko Epson Corporation. All other names and company names used herein are for identification purpose only and may be the trademarks or registered trademarks of their respective owners. Epson disclaims any and all rights in those marks. All print samples shown herein are simulations. Specifications are subject to change without notice. 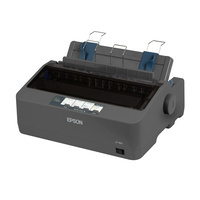 Epson products are designed and made to give highly reliable use and long life when used according to its specifications. With any system, product or device used in situations where human life may be involved or at risk, Epson advises that you should take all necessary steps to ensure the suitability of your Epson product for inclusion in your system, and recommends that you include fail-safe procedures and redundancy support or backup equipment in your system, to maintain the maximum safety margin and optimum system reliability. Examples include but are not limited to – do not interfere with any electrical components within the device, do not use items supplied with the product for purposes other than as intended by Epson (ie mains cords, inks, CDs, plastic wrapping) and do not make modifications to the product. Help other Brisbane Business Equipment users shop smarter by writing reviews for products you have purchased. The term ‘Brisbane Business Equipment’ or ‘us’ or ‘we’ refers to the owner of the website whose registered office is 3/747 Fairfield Rd Yeerongpilly, YEERONGPILLY, QLD, 4105, AU. Our ABN is 14800535605. The term ‘you’ refers to the user or viewer of our website. All BBE prices displayed on the website or any marketing material are shown in Australian Dollars (AUD), and unless stated otherwise include GST (Goods and Services Tax). These prices however, are subject to change without notice and BBE reserves the right to make any neccessary ammendments. This is without any prior notice, regarding typographical errors or fluctuating re-seller prices. However BBE endeavours to offer you cutting edge technology and consumables at lower market value, and update our prices with either specials or reductions to keep inline with our customer guarantee.